From Teedyuscung and Tamanend to Cornplanter and Shikellamy, the names of illustrious Native American chiefs are familiar to many Pennsylvanians. These and the names of other iconic tribal leaders grace our mountains, streams, townships and schools. Sadly, there is one name that has been all but forgotten, and it is a name you will not find on any monument or high school sports stadium. And though he's only been dead for half a century, Chief Fireway's name ought to be remembered, not just for the numerous contributions he made to Dauphin County, but because he was "The Last Susquehannock". Born in Perry County in 1899, Chief Fireway spend his early life on the Onandaga Reservation near Syracuse before receiving his education at the Carlisle Indian School. His grandfather, a veteran of the Civil War, fought at Gettysburg and later relocated to a reservation in Oklahoma. Chief Fireway, who could trace his family history back to 1700, spent his entire adult life in the Harrisburg area, where he engaged in a long crusade to realize his dream of seeing a Susquehannock reservation established. It was in the spring of 1935 when Chief Fireway, along with his closest friend, Chief Twin Cities, began planning a two-acre reservation on a plot of ground situated behind the Harrisburg State Hospital. "My heart aches for the companionship of my race which is now almost extinct in Pennsylvania," Fireway told the Harrisburg Telegraph in June of 1935. "There are not more than ten or twelve Pennsylvania Iroquois Indians still living in the state. All of them are in financial distress, roaming about seeking employment. Since circuses have been going bankrupt it is almost impossible to get employment." Fireway and Twin Cities, who shared a wigwam on Locust Lane in the Edgemont neighborhood of the city, began circulating petitions which they intended to present to Governor George H. Earle. 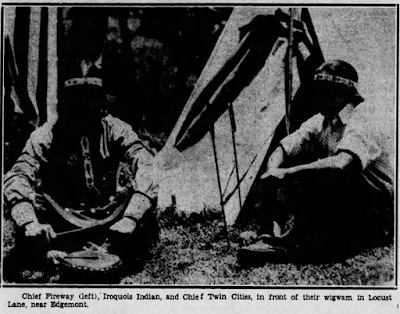 The two chiefs claimed that the planned reservation would come at no expense to the state: once the land was provided, Fireway and Twin Cities would do the rest of the work and build a replica Indian village. Fireway envisioned the reservation as a place where he could teach Indian crafts and folklore to local schoolchildren, and eke out a humble income by selling novelties and gifts. "Indian lore," said Fireway, "is being forgotten. Children learn only half of it in their school books. They are taught only the wars that the Red Man fought to protect his ground and his family. The good of the Indian is forgotten." Fireway was also a skilled herbalist; part of his dream was also to keep alive the tradition of Native American medicine. "Our knowledge of medicinal teas and herbs is greater than that of any other tribe," he boasted. "The Pennsylvania Iroquois Indian is becoming extinct. Marriage with whites and the non-marriage of others is reducing the number of full-blooded Indians. The reservation would be a godsend to us. It would keep us together and the band would flourish, or otherwise, within a few years, the Pennsylvania Iroquois Indian will be merely something that was and is no more." Although Chief Fireway often spoke of himself as an Iroquois, the roots of his family tree were Susquehannock. The Susquehannock people, much like their Seneca, Cayuga, Onandaga, Mohawk and Oneida cousins (all part of the Iroquois Confederacy) shared a common language. The Cherokee, whose language has been referred to as "Southern Iroquois", were also related, which explains why Fireway's grandparents made their home on a reservation in Oklahoma Territory in the years following the Civil War. Unfortunately for Chief Fireway and Twin Cities, the petition calling for an Indian reservation behind Harrisburg State Hospital garnered little interest. Most of the signers were the Indians who stopped at the chief's Locust Lane bungalow, which was described as "a mecca for the wandering Indian who has no place to sleep, nothing to eat and no work to do." But it would be unfair to say that Chief Fireway's kindness and generosity extended only to those with Native American bloodlines. Fireway, for many decades, generously donated his time to many charitable causes, and he seldom passed up an opportunity to teach and educate adults and children alike about Susquehannock history and the Iroquoian way of life. 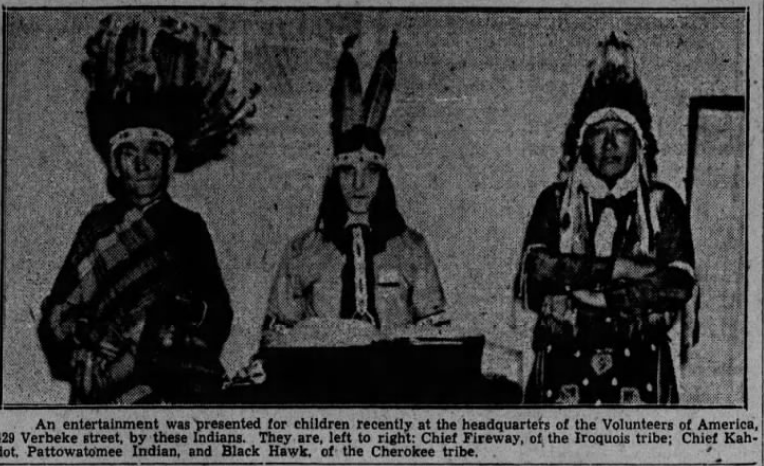 March of 1936 found Chief Fireway at the headquarters of the Volunteers of America on Verbeke Street, putting on a program of entertainment for children alongside Chief Kahdot of the Pattowatomee tribe and Black Hawk of the Cherokee. 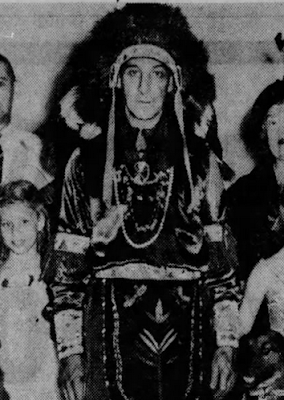 The following spring found Chief Fireway at the WPA-sponsored Festival of Nations, where he shared the stage with the Swedish entertainer Sven Olof Eck and a seventy-member company of African-American "Juba" dancers. He also took part in Mechanicsburg's annual Jubilee Day celebrations. For several years Chief Fireway was master of ceremonies and a headlining performer at the Dauphin County Folk Festival. 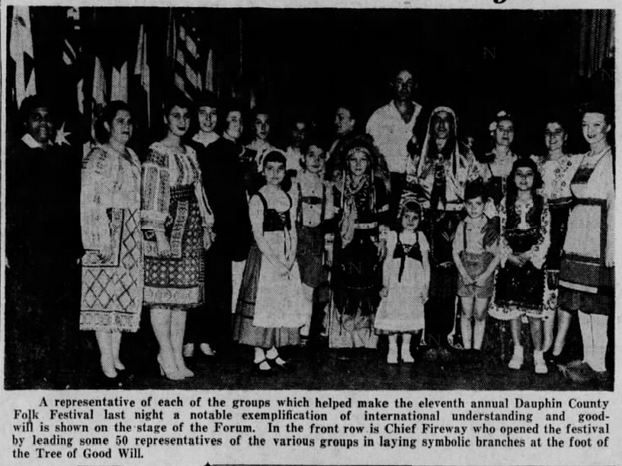 He opened the eleventh annual Folk Festival in 1947 by leading fifty representatives of different ethnic groups in the laying of a symbolic wreath at the foot of the Tree of Good Will. To Chief Fireway, ethnic origin was important, but only as a means of bringing people together in celebration; one week he might be featured on a program with Scotch bagpipers, and the following week he might be on stage with a Serbian tamburitza orchestra. Chief Fireway loved people, and he loved learning about different cultures every bit as much as he enjoyed educating others about his own culture. He also loved his country; as soon as America's involvement in the Second World War seemed imminent, he rushed to enlist in the army, only to be told that he was too old to serve. Undeterred, he devoted much of his time to recruitment efforts. 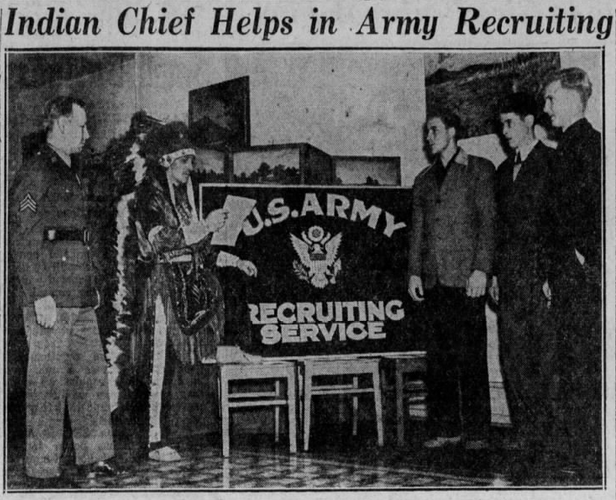 November of 1940 found Chief Fireway at the U.S. Army recruiting center at 325 Market Street in full Native American regalia, reading Army rules and regulations to new recruits. A few months earlier the chief, along with two siblings, Pat Rolling Cloud and Little Turtle, presented President Roosevelt and his wife, Eleanor, with an Iroquois shield representing peace, love, bravery, sacrifice and loyalty. The shield, which bore a beaded likeness of Roosevelt, had been made by children who attended Chief Fireway's Works Progress Administration-sponsored Indian handicraft class, which the chief conducted with the help of his aforementioned siblings and two additional brothers, Bright Light and Dreaming Water. As the war raged on, he buoyed the morale of troops at Fort Indiantown Gap with his one-act dog show as a member of the Dauphin County Victory Entertainment Squadron. But what makes Chief Fireway's deep patriotism even more remarkable is that his love for country never waned-- not even as he faced increasing ridicule, mockery and condemnation from those in state government and local media. It was shortly after his first performance at Fort Indiantown Gap that his dream of establishing a Susquehannock Reservation was rekindled. Perhaps he was taken with the verdant, pastoral beauty of the Blue Mountains and shady banks of the Manada and Swatara creeks, or, more likely, he was fascinated by the site's history and its connection with his ancestors (in 1755 the first fort was built at Indiantown Gap to protect settlers from Susquehannock raids). At any rate, Fireway once again took up his crusade-- this time with more passion and vigor than ever before. 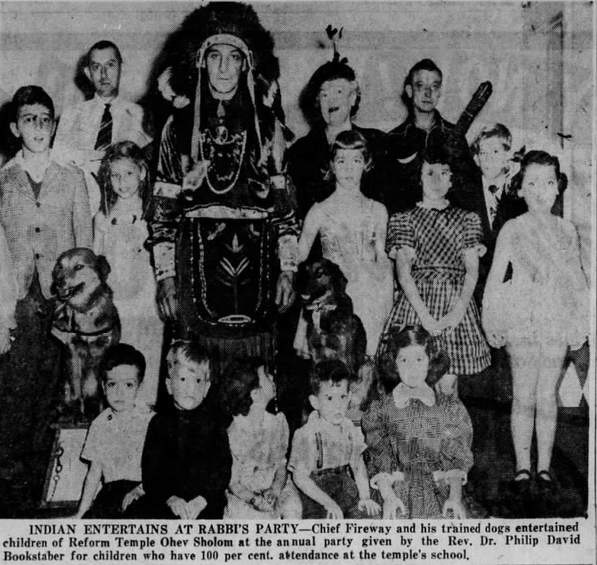 Chief Fireway's cause was taken up by two Dauphin County legislators, Representative Ray E. Taylor and Representative William E. Habbyshaw, who learned of Fireway's idea for a Susquehannock reservation through a constituent, Dr. Philip David Bookstaber, who was a rabbi and influential Jewish leader in the Harrisburg area. On Monday, May 5, 1941, the two lawmakers introduced a bill in the state legislature calling for the establishment of a Susquehannock Indian Reservation in a forested region of Jackson Township in upper Dauphin County. 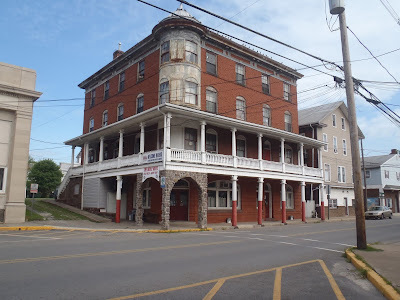 If established, it would become only the second reservation in the entire state, alongside the Cornplanter Reservation in Warren County. According to the bill, Fireway is listed as the only surviving chief of the Susquehannocks, which, the bill argued, numbered between eighty and one hundred members. Under the provisions of the bill, the State Forest Commission would rent out a 100-acre tract of Haldeman Forest (modern-day Weiser State Forest) to members of the tribe. "It's fine to give the Indians back some of their ground in a nice, civilized way. We had to fight to take it away from them and now we give a little back just by passing a bill. It's much better than having to dodge tomahawks." Unfortunately for Chief Fireway and his supporters, the celebration was short lived. The bill was immediately vetoed by Republican governor Arthur H. James. Adding insult to injury, the press turned on Fireway, with some papers going so far as to accuse the chief of being a fraud and a con-artist. The governor, who apparently had a course in history at Dickinson College, smelled a rat. He asked Dr. Donald A. Cadzow of the State Historical Commission, who assured him that there aren't any more Susquehannock Indians, and haven't been for a good many years. As a matter of fact, the commission's archives say that the tribe was wiped out in a riot at Lancaster in 1763. Ironically enough, the Republican governor who vetoed the bill had been given the honorary title of chief from the Cornplanter tribe one year earlier (to the Cornplanters, Gov. James was known as Chief O-Dahn-Goht, which means "sunlight"). One can only imagine how Chief Fireway must have reacted upon hearing the news that the legislature's unanimous decision to set aside land for the reservation-- after so many years of trying-- had been shot down by a "fake" Indian chief who had the audacity to accuse Fireway of being a phony. But the last chief of the Susquehannocks would have been fighting an uphill battle regardless of Cadzow, the historian who claimed that the tribe had been wiped off the map in 1763. Governor James had a reputation for vetoing bills with any historical connotations; he vetoed a bill that appropriated $20,000 for improvements to the Ephrata Cloister, he vetoed a bill to construct a museum at the Bushey Run Battlefield, and he frequently vetoed measures to fund the preservation and restoration of dozens of Pennsylvania's historical sites and landmarks. Perhaps no other governor in state history was opposed to historical preservation as much as Arthur H. James. But was Dr. Cadzow of the State Historical Commission correct in his assertion that the last of the Susquehannocks had been killed in 1763, in what is widely known as the Conestoga Massacre? Some historians, myself included, disagree with this claim. By the early 18th century, the once-thriving Susquehannock had been pushed to the brink of extinction by decades by continual warfare and diseases which had been introduced by Europeans. Only a century earlier the small-but-mighty tribe had given a sound thrashing to the invading Five Nations of the Iroquois, while continuing to wage war against their traditional enemies, the Delaware. But their numbers rapidly declined during the mid-1670s, thanks to smallpox and other infectious diseases. It is believed that some of the Susquehannocks managed to survive by fleeing to the Alleghenies of western Pennsylvania, where they were "adopted" by the Shawnee, as well as the Seneca, who had been granted a large tract of land in Warren County by the federal government in 1796. Since historical records indicate that Chief Fireway's siblings hailed from Warren County, it seems likely that his ancestors had been among the fortunate few who escaped to western Pennsylvania prior to the Conestoga Massacre. Around 1697, the remaining Susquehannocks relocated to Lancaster County, where they became known as the Conestoga. At this time they numbered less than a thousand and their numbers continued to decline; a 1763 census lists the population of Conestoga Town (their principal village) as 22. In that same year the village was attacked by the Paxton Boys, who were a group of Scotch-Irish frontiersmen led by Rev. John Elder. Elder organized the early settlers of Paxtang into a militia designed to protect the other white settlers of Harrisburg from the Indians. Elder held a grudge against the Conestoga, believing them responsible for raiding the homes of families along the Susquehanna River (which didn't really make sense, considering that the Susquehannocks had abandoned the Harrisburg area some sixty years earlier). On the morning of December 14, 1763, Rev. Elder and his militia set off for Lancaster County and attacked Conestoga Town, killing 6 Susquehannocks and burning their cabins. 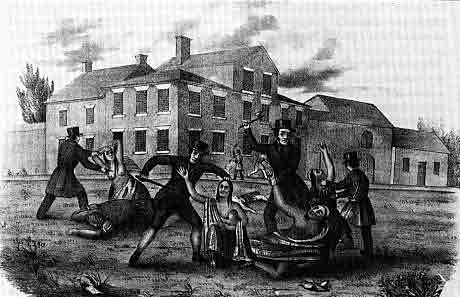 The leaders of colonial Pennsylvania were outraged by this massacre; the provincial governor, John Penn, offered a reward for the capture of the Paxton Boys and had the sixteen surviving Susquehannocks placed in protective custody at a workhouse in Lancaster. But on December 27 the Paxton Boys raided the workhouse, brutally butchering and scalping 6 adults and 8 children. But while Dr. Cadzow and other historians point to December 27, 1763, as the day the Susquehannock tribe became extinct, the numbers don't add up. Twenty-two Susquehannocks were living at Conestoga Town before the raids. Six were killed on December 14 and fourteen more were killed on December 27. That leaves two Susquehannocks unaccounted for. Were these two missing Indians have related to Chief Fireway? If this is the case, then Gov. James committed a grave injustice in 1941 when he vetoed the bill that would have created the Susquehannock Reservation in Jackson Township. By the time the Second World War was drawing to an end, Chief Fireway was deep in debt. On the homefront, the war had meant sacrifice and austerity; Americans went without "luxuries" like canned milk, gasoline and butter. Women went without stockings, since silk and nylon had been commandeered for the manufacture of parachutes. 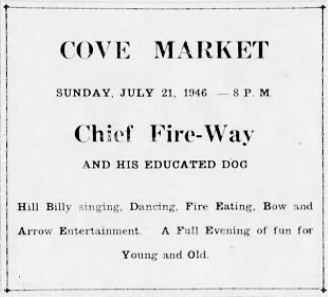 Americans also went without entertainment; as a result of fewer festivals and street fairs, Chief Fireway saw fewer and fewer bookings for his one-man-and-trained-dog show. A 1944 notice from the Dauphin County Treasurer's Office shows that Chief Fireway's lot in Middle Paxton Township was seized for non-payment of taxes (he had owed a mere $1.31 in back taxes). 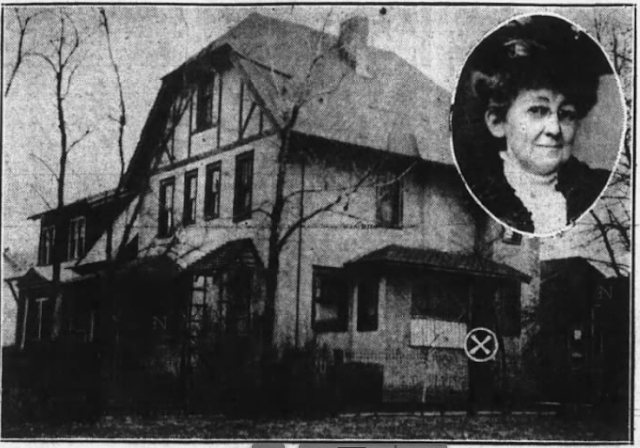 Records indicate that he relocated to the borough of Dauphin, where he lived out the rest of his life with his wife, Frances. Chief Fireway continued to appear in public-- he remained a headlining performer at the Dauphin County Folk Festival for several more years-- but his battle with Governor James, coupled with his financial woes, had sapped him of the strength he needed to pursue his lifelong dream of creating a reservation for the last members of his dying tribe. It was a fight that required the heart of a warrior, like the brave Susquehannocks who defeated the mighty Five Nations of the Iroquois in 1666. But Chief Fireway was not a warrior-- he was a man of peace. Today, motorists speeding along Route 322 in Middle Paxton Township are oblivious to the tiny graveyard obscured by trees on the right side of the highway's northbound lane, just before Rt. 322 passes over Mountain Road. This tiny burial ground is Highland Cemetery, the final resting place of the Last Susquehannock. 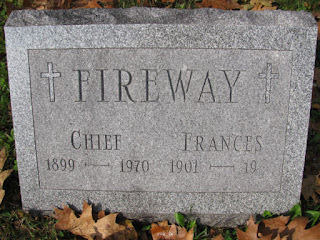 You won't find a bronze statue of an Indian chief or a historical marker here-- just a small, simple granite headstone informing the rare visitor that Chief Fireway passed away in 1970. Frances Fireway's date of death is left blank, although it is known that she died in June of 1982. An obituary for her brother, Ralph Woodward, appeared in the Gettysburg newspaper in 1981. Another brother, George, died in 1979. Whether Frances is buried alongside her husband at Highland Cemetery, or with the Woodwards in Evergreen Cemetery in Gettysburg is unclear. But one thing is abundantly clear. Chief Fireway has never gotten the credit or recognition he deserved and this, in my eyes, is a wrong that ought to be corrected. It seems shameful that so much has been done to preserve the history and places connected with the murderous lynch mob known as the Paxton Boys and their leader, the "Fighting Parson" Rev. John Elder, while nothing has been done to preserve the legacy of Chief Fireway. The Old Paxtang Church (where Elder served as pastor) has been meticulously preserved, along with its adjacent cemetery where lie the remains of numerous frontier "Indian Fighters". Since Rev. Elder refused to divulge the identities of the men who belonged to the Paxton Boys, it is quite probable that some of the graves here belong to the killers who mercilessly slaughtered the last Susquehannocks and their innocent children. These men were the antithesis of Chief Fireway, who devoted decades of his life to the promotion of peace, tolerance, unity and patriotism. With so much talk in recent months about the removal of controversial statues, I say now is the perfect time to erect monuments to men and women who have made a positive impact in their communities, and I think it's fair to say that the positive impact Chief Fireway had on the Harrisburg area cannot be overlooked. The year 2020 will mark the 50th anniversary of Chief Fireway's death, and I would love to see some sort of memorial dedicated to this remarkable man, the "Last Susquehannock". Perhaps a statue can be erected at Edgemont Community Park, not far from where he lived on Locust Lane with Chief Twin Cities. Or maybe a bronze plaque can mark the spot where the ill-fated Susquehannock Indian Reservation would have been located if "Chief O-Dahn-Goht" hadn't killed Fireway's dream with the stroke of his pen. Harrisburg Telegraph, June 19, 1935. 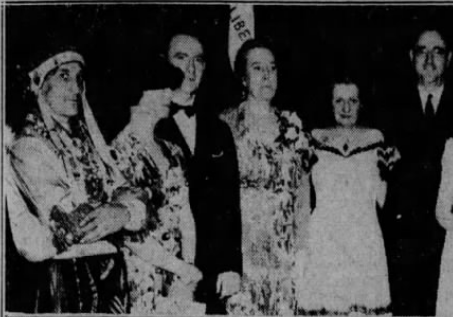 Harrisburg Evening News, March 4, 1936. Harrisburg Evening News, May 14, 1938. Harrisburg Evening News, June 8, 1939. Harrisburg Telegraph, May 24, 1940. Harrisburg Evening News, November 19, 1940. Harrisburg Evening News, May 6, 1941. Harrisburg Telegraph, May 7, 1941. 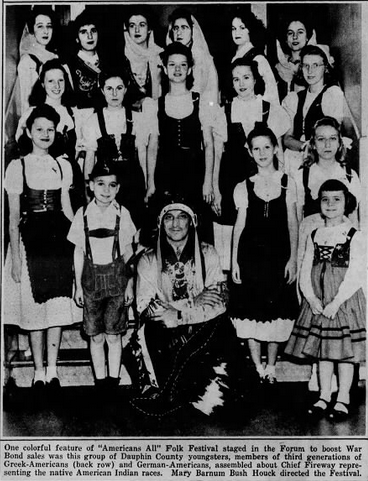 Elizabethville Echo, May 8, 1941. Shippensburg News-Chronicle, August 5, 1941. Harrisburg Evening News, December 19, 1940. Harrisburg Telegraph, December 16, 1942. Harrisburg Telegraph, July 31, 1944. Lebanon Daily News, July 30, 1973.